Founded in Jyväskylä in 2004, Aidon has conquered its strategic market – Finland, Sweden and Norway – with its smart remote metering solutions. “We want to be a forerunner in technology and actively introduce new solutions and ways of thinking to the market,” says Product Development Director Tomi Kyllönen from Aidon. The energy sector is undergoing a transformation and, at the same time, states are updating their legislation and requirements pertaining to measuring energy consumption. New legislation was introduced in Norway a few years ago and, since then, Aidon has secured more than a 50 per cent market share of the country’s remote electricity metering systems. Sweden’s legislation was recently updated, and major electricity network companies in Finland are also actively testing out new solutions, which opens up even more growth opportunities for Aidon. Aidon’s strategic path has been to focus on specifying the metering system architecture, products and services. In design and development work, the company primarily chooses to lean on long-term partnerships. Etteplan and Aidon have engaged in close co-operation for a decade already. “Etteplan is our partner in device and software development and in production testing solutions, which has brought us agility and flexibility in developing our entire product portfolio. Etteplan has played a major role in both the realization and maintenance of our products,” says Kyllönen. “Continuity holds significant value for us: our products have a life cycle of up to 25 years, and we want partners with whom we can co-operate for the full span of that life cycle. With Etteplan, we work on matters for the long term,” he adds. A key characteristic of Aidon’s systems is open architecture. Electricity network companies can connect to the system’s interfaces and make use of the data in their own systems. Aidon chose Soikea Solutions, which is part of Etteplan, as the developer of its integration solutions. “The choice of partner was largely based on Soikea’s expertise and broad experience in integration solutions. It is important to our customers that the integrations are agile and cost effective, and Soikea’s know-how has made that possible for us. 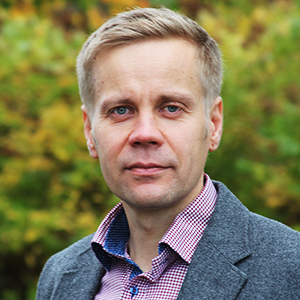 “Etteplan and Soikea are our trusted partners and, thanks to them, we will be able to respond to our customers’ needs also going forward,” Kyllönen sums up.